Perhaps one of the most significant events of the last period of the Soviet Union’s existence was the tragic pogrom of February 1988 in the city of Sumgait of the Azerbaijani SSR. The ethnic clashes which were provoked by the Soviet secret services among the international and heterogeneous population of Sumgait, a large industrial city, became a catalyst for the Armenian-Azerbaijani Nagorno-Karabakh conflict. In the early 1980s, the Soviet Union was going through a difficult period, which was marked by failures in foreign policy, deteriorating standing in the international arena, difficulties in the national economy and crisis of leadership. Mikhail Gorbachev took the post of the general secretary in March 1985, and his activities are best remembered for a large-scale attempt to reform the USSR -- the Perestroika -- which ended with a collapse of the communist system in the world and collapse of the Soviet Union. Gorbachev`s unskilled ethnic policy eventually brought about unprecedented domestic political cataclysms which resulted with the collapse of the Soviet Union. Mikhail Gorbachev and his ruling team played a particularly negative role in fueling the Armenian-Azerbaijani conflict, the conflict that showed all the depth of the systemic crisis of the Soviet system. Armenian and some foreign sources has falsified the origins of the Armenian-Azerbaijani conflict. It is obvious that the origins of the conflict were not the Sumgait events of February 1988, but the forced deportation of the Azerbaijani population from the Armenian SSR in 1987. In late February 1988, when the tragic Sumgait pogroms happened, at least 4,000 refugees were already relocated to Sumgait and other Azerbaijani cities, after the forced deportation of Azerbaijani population was carried out directly by the party leadership and law enforcement agencies of the Armenian SSR. Back in the mid-1980s, various kinds of terrorist and nationalist Armenian organizations became significantly active by launching with the support of the Armenian Church and diaspora the inherently fascist plan of forced deportation of Azerbaijanis from Armenia and Nagorno-Karabakh Autonomous Region (NKAR) of the Azerbaijan SSR. 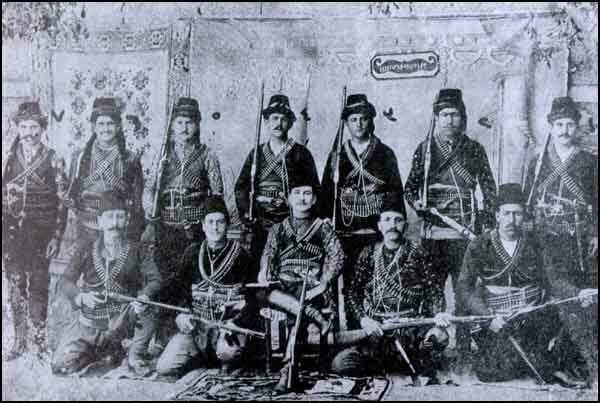 A cluster of Armenian nationalist, terrorist and paramilitary groups started to implement the plan of creation of the mythical “Greater Armenia” by using the methods of violence and terror against the Azerbaijani population. The forced deportation of Azerbaijanis and the following Karabakh conflict that erupted in the late 1980-early 1990s are one of the links of the policy of the last two centuries of ousting the Azerbaijani population from their historical lands, which started with Russia’s implementation of resettlement of the Armenians from Ottoman Turkey, Persia and the Middle East. Azerbaijan became the victim of the terror and warfare in this conflict. In the first Karabakh war, Armenia occupied 20% of the Azerbaijani territories; more than 1 million Azerbaijanis became refugees and IDPs, and more than 20 000 people were killed during the armed actions.